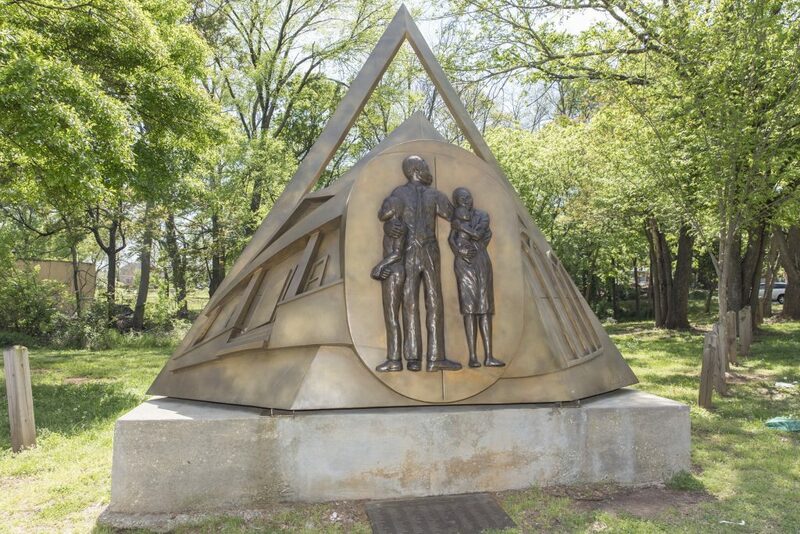 Created in 1996 and residing on the corner of Hank Aaron Drive SW and Haygood Avenue SE, “Spirit, Family, Community” features an embedded sculpture of a close-knit family of four that honors the families and members of the Cascade Road community. 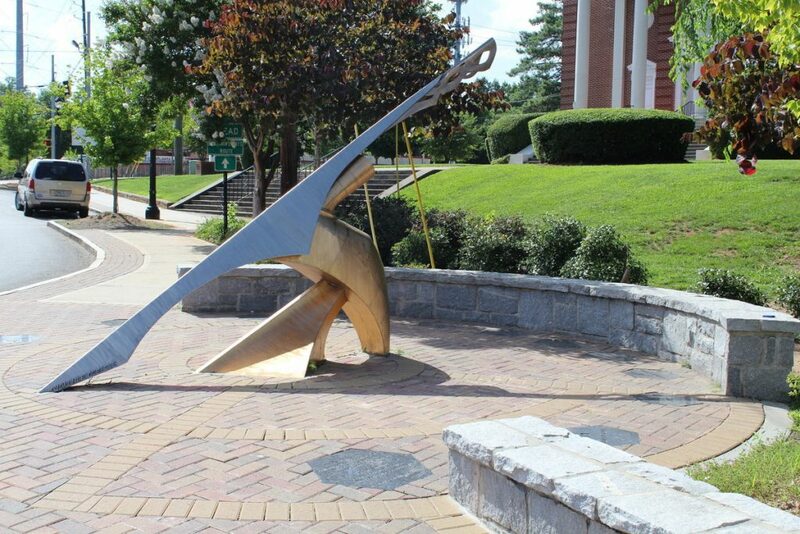 The steel and bronze sculpture doubles as a working sundial and light fixture. The installation also includes design elements that pay homage to the significant impact members of the community made on Atlanta and beyond through scholarship and creativity. Five miles west, on the corner of Cascade Road SW and Benjamin E. Mays Drive SW, sits Odeleye’s “Chi Wara Sundial Lantern.” Installed in 2012, this site-specific sculpture is part of the Cascade Road/Benjamin E. Mays streetscape improvement project led in partnership by the OCA and the Department of Public Works. An art selection committee picked Odeleye to develop artwork to anchor the project. Inspiration for the sundial comes from the Chi Wara, a mythical creature of the Bambara ethnic group of the Republic of Mali in West Africa. The Chi Wara is a special ceremonial headdress used to pass knowledge from wise elders to young people in the village. Odeleye’s sculpture uses this concept to suggest the ceremonial passing of scholarship from Cascade elders to the youth of the community. During the restoration process, the Conservation and Maintenance team addressed and treated surface abrasions and scratches, organic residue, and elemental exposures each installation sustained. Surfaces of both sculptures were polished to restore the original shine and to apply a protective coating. In addition, the exterior surfaces of the sculptures were washed, treated, and waxed. The Conservation and Maintenance team also corrected an elevation issue along the right side of “Spirit, Family, Community” to protect the base’s corner. For more information about these sculptures and the city’s Public Art Collection, visit our Arts Hub.